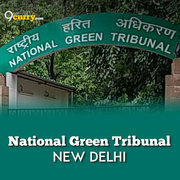 National Green Tribunal Recruitment 2019 - Job notification for Dy Registrar & Assistant Registrar Posts in National Green Tribunal, New Delhi on Deputation Basis. 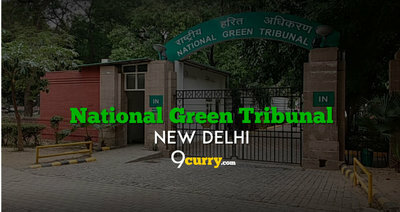 Applications are invited by National Green Tribunal, New Delhi on or before 22 Feb 2019 for 2 vacancies. b) Post in Central Government or State Government or courts or Tribunals, with five-year regular service in pay band - 3, ₹15600-39100 with Grade Pay of ₹6600 i.e. level -11 in the pay Matrix. b) Post in the central government or state government or courts or tribunals, with 5 years' regular service in the pre-revised pay-band-2, ₹9300-34800 with the Grade Pay of ₹5400. Eligible candidates may send their application in prescribed format (attached below) to Registrar, National Green Tribunal, Principal Bench, Faridkot House, Copernicus Marg, New Delhi-110001 on or before 22 Feb 2019, along with bio-data in the prescribed proforma (enclosed) along with relevant documents towards educational qualifications, experience along with copies of AC R's of the last 5 years, vigilance clearance, integrity certificate etc.